A few days before Christmas I got a thick, imposing envelope in the mail from the Washington State Department of Revenue. “ACTION REQUIRED: Business Tax Return due January 31” it shouted in bold, red font across the front. Yikes! What have I gotten myself into? Two years ago, I didn’t even know that document translation was a real profession. I still remember where I was in late August 2016—surfing the web in a friend’s living room in Manaus, Brazil—when I stumbled across a blog post describing the qualities of a successful translator. I thought, People actually make a living doing this? From then on things kind of snowballed. I immediately began digging deeper. It didn’t take long to discover Corinne McKay’s award-winning blog about all things translation, and the podcast she co-hosts with Eve Bodeux. I soaked it all in. By mid-November I was back in the U.S. and taking Corinne’s course, Getting Started as a Freelance Translator. I had found my calling and I wasn’t looking back. I formalized my business, Language of the Americas, in Washington State in January 2017. I also started a blog about trends in Latin American agriculture, thinking that would attract clients while keeping me current on terminology in my niche of agriculture. It was a fun exercise, but it wasn’t catching anyone’s attention, or so I thought. But more on that later. Initial email and snail mail prospecting was overwhelmingly successful—at least in terms of engaging prospective clients. My response rate was around 50%. This was starting to look easy! But nobody wanted to send me work. A few “saved my resume for future reference,” but, as the days stretched into weeks and the weeks into months, my inbox was still empty. My problem seemed to be a lack of experience. But how do I get that experience? I had been knocking on the virtual door of one of the larger agencies out there, as I knew they had loads of work and a lower bar of entry. I finally heard back from them after my third application in as many months, and tested onto their roster as a translation editor in the life sciences department. This was my chance to get the experience I needed. I thought of it as an apprenticeship. As time went by, I learned how to communicate with project managers, how to negotiate bids, how to make tight deadlines, and how to invoice. Everything was so new. As an editor, I also learned how to research hard terminology, and I found out a lot about the mistakes translators are prone to make, and how to catch them. As a bonus, I was being exposed to Spanish from all over the world, and that, along with floods of technical terminology unique to the life sciences, kept my language skills moving forward. I worked my way up the pay scale within the agency by doing thorough work and being dependable. Work was steady (by jerks) and interesting, and I was learning lots. That’s when I decided to revisit South America. Twice in prior months I had successfully travelled with my office on working vacations, visiting family on the other side of the state. On these trips, I had a nice table to work at in a relatively quiet setting. I was digging the ‘free’ in ‘freelance’. Soon, I had visions of doing the same in South America. In July 2017, I flew to Peru and began what would become a two-month stay in the southern hemisphere. But I soon found I couldn’t work reliably. I needed at least a full day of preparation to get in the ‘zone’ and a space to call my own, with minimal distractions. During those two months spent in Peru and Brazil, I was simply on the road too much and too often to be able to buckle down and do quality work. And, except in bigger cities, internet was sparse. Thankfully, my project managers at the large agency (almost) didn’t bat an eye when I came back online two months later, and work picked up faster than ever. But it started feeling like time for a change. The Latin American agriculture blog languished while I was away. In a lull after my return, I hammered out a new post about the need for collaboration between the world’s agricultural researchers. As I sometimes do (to ensure that somebody reads my blog! ), I emailed the post’s URL to the sources whose work I had used to write it. This time, I was in for a surprise. One of these sources shared the post with his colleagues, one of whom happened to be a communications coordinator for a large, international organization. She read the post, liked my style and grasp of the subject, and asked if I’d like to write freelance for them on an ongoing basis. I thought, People actually make a living doing this? Ah yes. And so it’s back to the freshman books for me. Secure at least two additional quality clients, both for translation and writing. Diversity in work activities and revenue stream is always a good thing. Develop a better portfolio of translations that I can share with potential clients to prove that I know what I’m doing, even though I’ve only been doing it for one year. What were some of the notable highs and lows in your first year of translating or interpreting? Do you have any tips to share with readers (and me!) for making that second year a bang-up success? Please comment below! 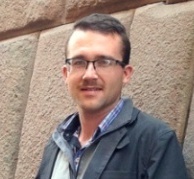 Paul Froese is a freelance Spanish to English translator and writer specializing in agricultural and life sciences content. A native of Walla Walla, Washington, he holds an undergraduate degree in plant science and biotechnology and a graduate degree in crop science focused on plant breeding and genetics. He enjoyed the challenges of his first year (2017) as a freelance translator and writer and is looking forward to continued growth in 2018! You can visit Paul’s website at www.lotamtranslations.com and his blog about trends in Latin American agriculture at www.latinagtrends.com. E-mail him with any thoughts at paul@lotamtranslations.com. Many beginning interpreters oftentimes ask us about specialization and whether it’s essential that they specialize. We get many of these questions from Judy’s students at the Spanish/English translation certificate program at University of San Diego-Extension and from Dagy’s mentees. We thought it might be helpful to give a short summary on translation specialization. One project does not equal specialization. This is a classic mistake that we also made early in our careers. Just because you have done a project (or two or three) in a specific area doesn’t mean that’s a specialization. You should really have in-depth knowledge. Choose wisely. A specialization is an area that you know very, very well and that you can confidently say you are an expert in. Remember that if you choose a specific area, say chemistry or finance, it’s best to have significant experience, including perhaps a graduate degree and work experience outside the T&I field, in that specific area. You will be competing with colleagues who have both experience and credentials, so it’s important that you are prepared. For instance, we have a dear friend and colleague who has a doctorate in chemistry. Naturally, Karen Tkaczyk’s area of specialization is chemistry. Non-specializations. It’s impossible to be an expert in everything. It looks quite unprofessional to say that you specialize in everything, so we suggest staying away from that approach. Also be sure to put some thought into areas that you don’t want to work in at all because you are not qualified, interested, or both. For instance, we once got a call from a client who really wanted to hire us to translate a physics text. We don’t know anything about physics, even though we took eight years of it, and even though we were flattered, we politely declined and recommended a colleague. That project would have been a disaster. We also wisely stay away from in-depth medical translations. It’s OK not to have one. It’s not a bad thing to not have a specialization or significant experience in any area at the beginning of your career. Everyone starts out without experience (we did, too), and we wouldn’t recommend lying about any experience you have. However, think about experience outside the T&I field: perhaps you were a Little League coach and thus know a lot about baseball or volunteered at your local Habitat for Humanity and thus know a bit about non-profits. The experience doesn’t have to be in both languages, but any background and educational credentials will come in handy. For instance, Judy’s graduate degree is in business management, so business translations were a natural fit for her. We had also done previous copywriting work (before we started our business, that is), so we felt that the advertising field might be a good specialization (and we were right). Add one! It might also very well happen that you will add specializations throughout your career, which is a good thing. We recommend choosing closely related fields so you don’t have to invest too much time and resources. Getting faster. As a general rule, the more specialized you are, the faster you will be able to translate because you will be very familiar with the terminology. For instance, we have colleagues who only translate clinical trials, real estate purchase contracts or patents. They have usually amassed large glossaries and translation memories and spent little time researching and lots of time translation, thus positively affecting their bottom line. We think this is a good start, but would love to hear from both colleagues and newcomers. Join the conversation by leaving a comment! 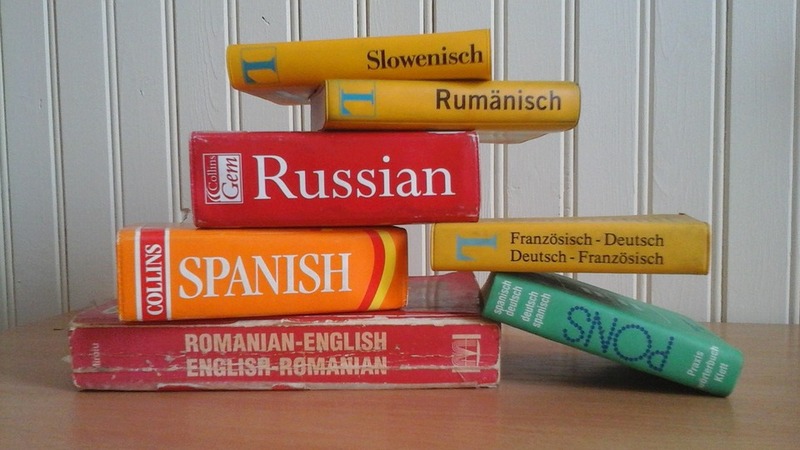 So you want to be a Freelance Translator (or Interpreter): How is the T&I industry laid out? This post is the first in a series of five posts written in response to questions we at The Savvy Newcomer have received, sometimes from people within the translation world, but also from bilingual friends and family who are interested in translation and interpreting (T&I). Our hope is that this series will serve as a guide for people who are considering a career in T&I and want to know where to begin. How is the T&I industry laid out? As a preface, I can think of numerous times since I began working as a translator that friends and family have come to me with questions about my work. Do I actually have a job? Do people pay me to do it? Who do I work for? 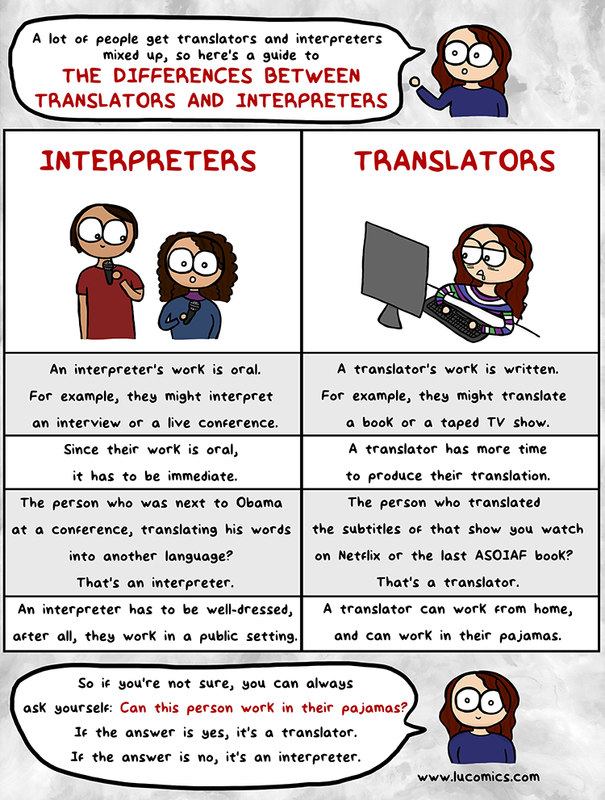 The questions are not always this blatant, but I can often sense the underlying question of how the translation and interpreting industry really works, and whether it is a viable career for someone who knows a second language. In short, the answer is yes! The question of how our industry is laid out is usually one that people do not ask straight-out, but it is the first topic I address in my response. It is crucial to have this foundational knowledge before you consider becoming a translator or an interpreter so you can decide if you—your lifestyle, your skills, your background—will make a good fit for the industry, and vice versa. The first distinction to make is the difference between translation and interpreting. Check out the infographic below to get an idea (credit: lucomics.com). Translation is written; when you translate, you receive a document in one language and translate it into another language—usually on a computer, but sometimes by hand. Interpreting is spoken; interpreters work in person, by phone, or by video, interpreting words spoken in real time by conveying the same message out loud in a second language so that another person or other people can understand what was said. 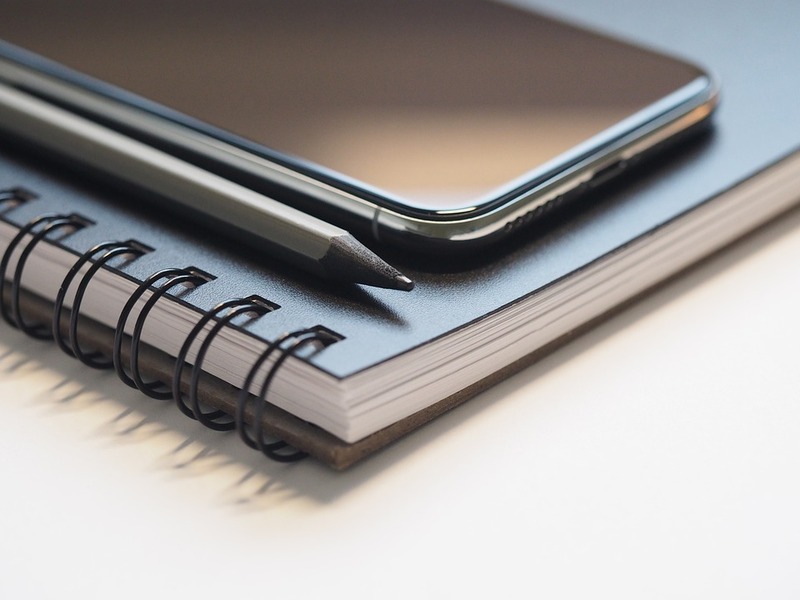 Translation and interpreting require very different skills; translators are strong writers with a good grasp of writing conventions in their target language. They need to be able to properly understand the source language to create a suitable translation. Interpreters, on the other hand, should have a strong command of speaking skills in both languages and must be able to produce coherent and accurate renditions of what is being said as it is said. The combination of languages in which a translator or interpreter provides services is called their “language pair.” Translators usually work from one language into another; for example, I work from Spanish into English (Spanish>English), which means that my clients send me documents in Spanish and I deliver translated documents in English. It is a good rule of thumb to remember that translators usually work into their native language. This is because most of us are naturally better writers in our native tongue, so we work from our second language into our first. Interpreters, alternatively, may work with both languages at the same level; for example, if an interpreter is hired to help a doctor communicate with her patient, the interpreter will need to speak both languages so both parties are understood. In this case, we would say that the interpreter’s language pair is Spanish-English, since he is not working into one language or the other. As a side note, some interpreters offer their services at conferences where the speaker or presenter speaks in one language and some or all attendees need to hear the presentation in their own language (this is called conference interpreting). If, for example, a group of marine biologists from Mexico attends a conference in Miami, their interpreter would be working from Spanish>English, and would most likely provide the interpretation simultaneously through a headset while the speaker is speaking. To become a skilled and successful translator or interpreter, it is important to be self-motivated! Especially if you are going to become a freelancer, you want to be sure that you have the fortitude to set your own schedule, manage your time, and keep growing your business. It is also essential to have strong language skills in two or more languages. It is important to recognize that being bilingual does not automatically make someone a translator or interpreter! Knowing two languages is crucial, but it is important to have training or experience that teaches you the ins and outs of translating or interpreting: the pitfalls you may encounter, best practices, and the code of ethics by which you must live and work. Bilingual individuals who are not cut out to be translators or interpreters and want to use their bilingual skills in other capacities can find great career opportunities as language teachers, bilingual medical or legal providers, language project managers, and so forth. In fact, bilingual individuals can play a key role in just about any profession imaginable. In January 2015 I joined the American Translators Association for the first time and was ready to give it my all. 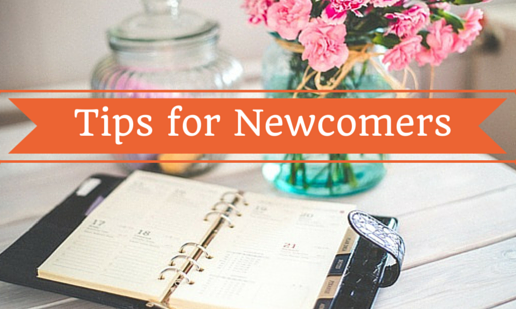 When I logged into my online account with my shiny new member number and password, I felt like a deer in the headlights… How do I make the most of my membership? What resources are available to me? But most importantly, where do I start? Thanks to all the resources and opportunities available through the ATA website, I got involved in the association as much as I could and closed 2015 feeling that my first year had been super great. 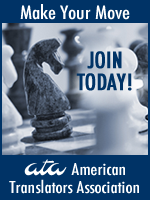 I’m sure 2016 has already welcomed many new members to the ATA and I hope to provide some insight as to how to make the most of your year as a rookie through a series of blog posts with The Savvy Newcomer. One of the first things I did as a new member was apply as a mentee for the Mentoring Program. This year’s deadline is March 5, 2016, so there’s no better time than now to get started on your application. The program matches a mentee to a mentor for one year (April-March). Most matches are long-distance, so meetings are usually held online for one to two hours per month. If you’re just starting out in the business or are looking to make a career change and need a bit of extra guidance, the program is a great chance to get some extra help from someone with more business experience in the field. The most important part of your application is writing a 400-word essay. Only 30 mentees are chosen to participate in the program, so you need to write one that makes you stand out. Emily Safrin, a 2015-2016 mentee, recommends staying focused on one or two realistic and measurable goals rather than a sweeping hope: “Not only does it help you as a mentee to be realistic and focused about what you want to achieve, but it also helps the committee to know that a candidate has a concrete plan that they will benefit from and not just a distant and shapeless dream.” Her specific goals included launching a website, creating an appropriate e-mail signature, connecting with direct clients, and setting and negotiating fair rates. “I now have my website and signature, as well as matching business cards,” she said. In my essay, I specified my main goals as “how to get, work with and keep direct clients in the tourism and hospitality industry” and my secondary goals included improving my online presence and creating a rates chart with fair pricing for the American and Spanish markets. As you can see, being specific about what you want to do is key. Mentees are in charge of setting the pace of the mentor-mentee relationship, keeping track of their goals and working on them, so make sure you also point out your strengths of working hard, following up and pulling through. The main thing to keep in mind is that you will get out as much as you put into the program. With her mentor’s help and encouragement, Emily cut off a bad relationship with an agency. “I feel like having [my mentor’s] support has helped me become braver and to create a vision for my career that I hope to see come to fruition in the coming years,” she said. My mentor helped me see that I need to find a marketing tool that works for me. She pointed out that her main clients have come from encounters at museums or networking events, not from cold calling, emailing or paying office visits (which are all things I personally dread). She has encouraged me to be patient and to take time finding what works for me; a booming business doesn’t happen overnight. All mentors and mentees also form part of a Yahoo Groups listserv, which is open to questions and discussion. I’ve gotten some great advice from other participants by directing questions to the entire group. The mentoring program is a great opportunity to get some extra help and a push in the right direction from successful translators and interpreters. Why don’t you give it a try and apply? 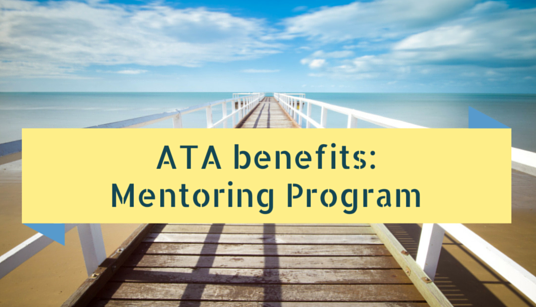 To learn more details of what the program entails and find links to apply, please visit The Savvy Newcomer’s recent post on joining the ATA Mentoring Program.